As we have reported earlier, Audi has dropped from the no. 1 position in terms of sales among luxury carmakers in India at the end of CY 2014 to no. 3 at the end of CY 2017 (click here to read report). Now, according to a media report, the German company is looking to change its product strategy. The company plans to invest in the volumes segment of the luxury car market and could target the Rs. 22 lakh - Rs. 25 lakh price bracket. With this move, it hopes to increase its customer base and volumes in a bid to try and regain the top spot in the luxury segment. According to the report, Audi is planning to launch products below the A3 sedan and Q3 SUV in the next 2-3 years. The products to be introduced, are likely to include at least one model each of an SUV, sedan and hatchback. 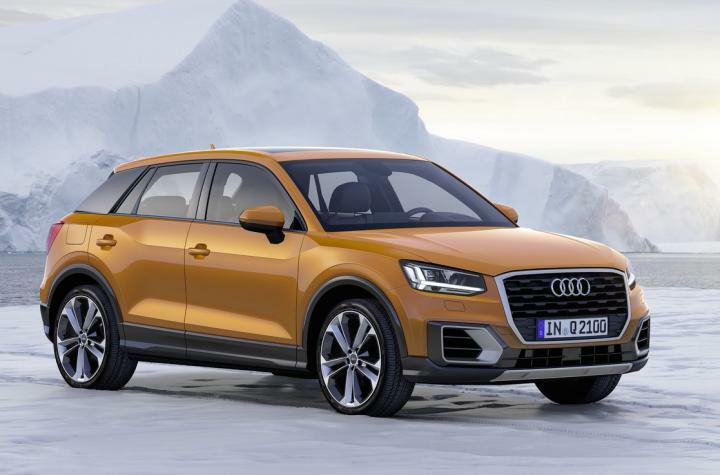 While, no specific models have been mentioned, it is rumoured that the Q2 could offered in India in the future. In terms of sales volumes, Mercedes-Benz is currently leading with BMW and Audi in second and third places respectively. Mercedes-Benz is also the only premium automaker offering hatchbacks in India. The introduction of GST has had an adverse effect on the luxury segment in India. Despite the unfavourable tax structure, Mercedes-Benz managed to register a growth of 22% in 2017, while Audi saw a sales growth of 2%.